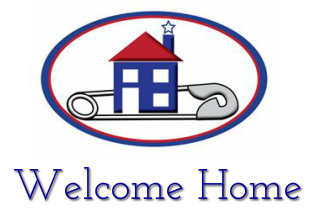 Welcome Home is a network of more than 200 citizens, as-well-as businesses and organizations, which aims to provide a safe haven, tangible resources, transportation and emotional support to vulnerable individuals. Such individuals may include (but are not limited to): women, religious minorities, LGBTQIA+ people, international students, refugees, migrant workers, people of color and people with disabilities. Given these communities empirically face discrimination, harassment and violence, we aim to be a front-line defense. This means that we help to reduce the stress surrounding vulnerable people by helping them navigate barriers, spaces and resources and also be a source of comfort. . As an adaptable network, Welcome Home not only is able to demonstrate that the larger citizenry welcomes these communities, but it is also positioned to effectively utilize existing resources and organizations. Anyone, to any degree, facing hostility, emotional, physical and verbal abuse or threats can find refuge, public resources and material support from us and our allies. Additionally, individuals facing increased depression, anxiety or loneliness due to isolation may seek resources through these networks. We are here. Public spaces where individuals may find community, respite, and sustenance. Additionally, people to assess and respond to the need for assistance; be it access to resources to escape harm, or tangible services such as meals transportation or temporary shelter. An active pipeline to a network of organizations and people equipped to provide welcoming and interventional support to vulnerable members of the community and visitors experiencing varying degrees of difficulty. Inclusive and all-encompassing acceptance - We welcome all people across class lines, race, sexual/gender orientation, religion, citizen status, primary language, age and mental/physical ability. Avoid evangelizing - While we work with some religious organizations, participants in the network do not try to push religious, spiritual or personal agendas on vulnerable individuals. Listening without judgment or blame - Our network is receptive and hospitable to all vulnerable individuals. We avoid victim-blaming and trust people despite our own privilege and bias. Actively, constantly learning about vulnerable individuals concerns - The Welcome Home network cannot be effective or representative if we do not also listen to feedback from groups we serve.